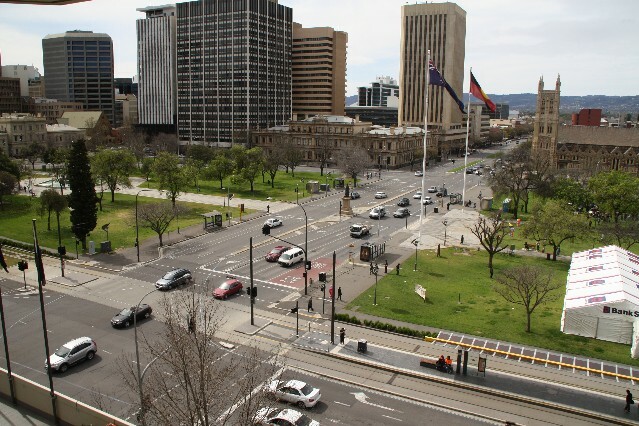 Adelaide is the capital city of the state of South Australia, referred to as the City of Churches due to large number of churches and Cathedrals that are throughout the city. For travel information for Adelaide click here. Kangaroo Island is located 113km southwest of Adelaide. One of the most popular tourist destinations in South Australia. 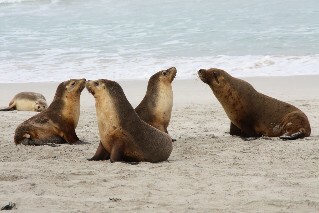 With some amazing wildlife like Kangaroos, Koalas, sea lions and fur seals. There are also some amazing scenery and natural land formations like the Remarkable Rocks. An easy day trip from Adelaide you can drive and catch a ferry across to Kangaroo Island, get a bus trip and ferry crossing or fly directly to Kangaroo Island from Adelaide airport. Barossa Valley produces 30% of Australia's wine. The Barossa Valley is around 1 hours drive from Adelaide. The Barossa Valley is one of the most visited wine regions in South Australia and all of Australia. Victor Harbour is one hours drive from Adelaide. A picturesque seaside town. Mount Gambier is South Australia's second largest town after Adelaide. Whyalla is South Australia's third largest town.